About 3 months ago, I had an itch, a feeling, a strong urge. I am not sure what sparked it but it hit me hard. The decision to become an entrepreneur is one of the most exhilarating yet frightening feelings that I have ever experienced. Self-doubt, of course, is bound to be a part of anyone’s decision to leave the comfort of the corporate world in the dust. I couldn’t ignore the growing sense, however, that I was destined to do more in life than be another corporate drone. I knew that I had to find out and that a chance exists that I’ll fail so soundly that even instant noodles will be beyond my food budget. 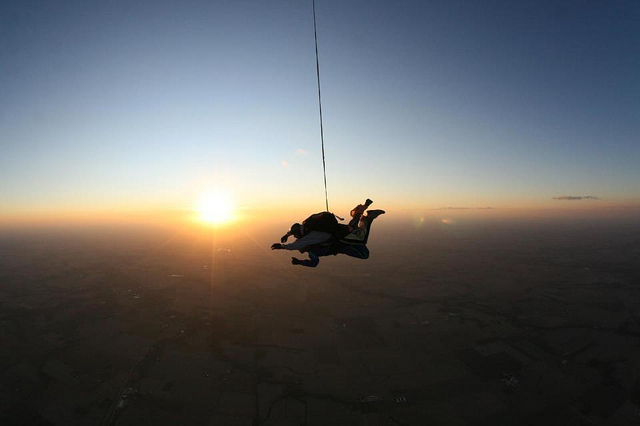 I can only compare making the decision to go out on my own to the sensation that someone might have before taking a first skydive. I was arguably pretty successful at what I do and held a pretty senior role working with some of the biggest brands in Australia. Because the company I was working for was doing so well, the decision to leave it did not come easily. Business was booming and the demand for SEO has never been higher. Budgets were huge and opportunities to grow were endless. Naturally, I played every worst case scenario over in my head at least a hundred times while contemplating my future. The only way I can describe it is to say that I was too comfortable at my company, and this made me nervous. Being a father to a 1 year old, having a mortgage and other family commitments made the decision to take the leap even harder. I am very fortunate to have a loving and supportive wife that gave me the best advice “GO FOR IT”. 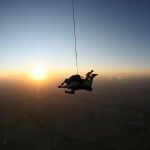 Some people thrive on fear, challenge, adventure and adrenalin (I am one of those people). Going out on my own and setting up my own business is my way of heading off into the exciting mystery of the unknown. I still don’t know what the future holds because my grand master plan of starting my own business is still in an embryonic stage, but I do know that I feel more alive and motivated now than I ever did while working for an agency. I am a strong believer that if you give it a 110% all of the time, things will work out in the end. I want to “have a crack” at building something that I am passionate about, if I fail…at least I won’t regret not trying! I am looking forward to new challenges and learning more about what it takes to run a successful business. 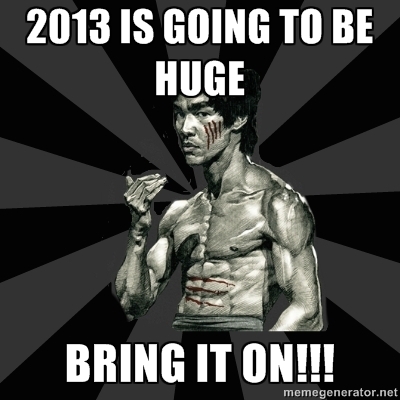 2013 is going to be huge, so watch this space – BRING IT ON!!! P/S – I would like to take this opportunity to say “THANK YOU” to my family, friends, past employers/managers and peeps in the SEO/digital/online marketing industry for all your support and advice. I wouldn’t have made this decision without your help.